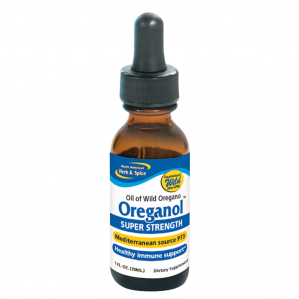 Super Strength Oreganol P73 - This is the triple strength form of wild Mediterranean oregano. Super Strength Oreganol P73 is ideal for use when more power is needed. This is the ideal form for topical use. It has been researched and tested by Georgetown University and other research facilities. 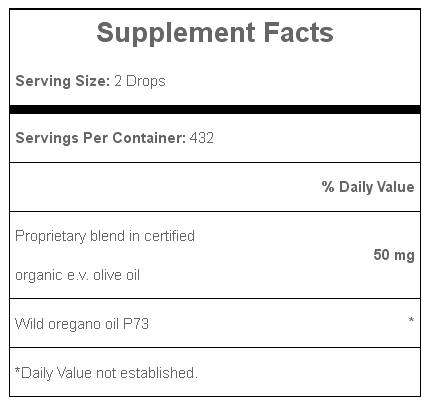 Oreganol P73 SUPER STRENGTH is three times (300%) more powerful than original strength. Non-GMO. Suggested Use: Take two ore more drops daily. As a totally natural product - consistency, aroma and taste may vary.